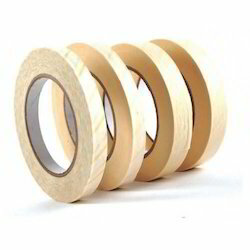 We are a leading Manufacturer of autoclave indicator tape from Ahmedabad, India. Autoclave label tape are highly used in hospitals as well as in laboratories & pharmaceuticals to test sterilization. It will be easily pasted on load-material which is to be sterile. * Ideal for Autoclave (Steam) Sterilization. * High contrast color change is easy to interpret. * Advanced adhesive assures easy application, strong adhesion, and clean removal from sterilized items. Looking for Autoclave Indicator Tape ?